Moving beyond superheroes to tell his people's story. 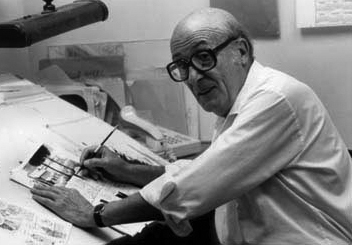 Artist and writer Will Eisner did not invent the graphic novel, but he was among the first to apply the convention of comics to novel-length stories. Eisner was born in Brooklyn in 1917, the son of Austrian Jewish immigrants. His father, a renowned church painter in Europe, first painted sets for theatres after moving to New York. Eventually, to better provide for his family, he opened a retail store. When that business prospered, the Eisners moved to the quieter, more affluent, and relatively more suburban Bronx. They left a neighborhood that was nearly all Jewish, and moved into an area with a more varied ethnic makeup of Irish, Italian, and Eastern European presences. Eisner’s experiences from his youth created a tableau for many of the recurring themes in his work: new immigrants, crooked landlords and store-owners, salesmen with wandering eyes, and housewives with wandering affections. Eisner watched these seedy characters, absorbed their stories, and used them later in life to paint vivid character portraits. Even as a child, Eisner was a gifted artist. At a young age, his father took Will to drawing lessons at an inexpensive art school. When the school turned out to be a fraud — the “school” was a machine that was attached to the student’s arm in order to draw shapes — the senior Eisner didn’t give up. He was determined to find a suitable place for Will to develop his skill. That “suitable place” ended up being their apartment. Self-taught, Will sold his first cartoon in 1936 to Wow What a Magazine. Soon thereafter, he joined one of the many assembly-line comic art studios springing up all over lower Manhattan. There, he met and collaborated with many of the era’s finest talents–among them, Jack Kirby (co-creator of Spider-Man and The Eternals) and Max Gaines (Wonder Woman, Famous Funnies). Eisner became so successful that he and cartoonist Jerry Iger created their own studio in 1936. They hired a new team and began to produce high quality work, quickly. 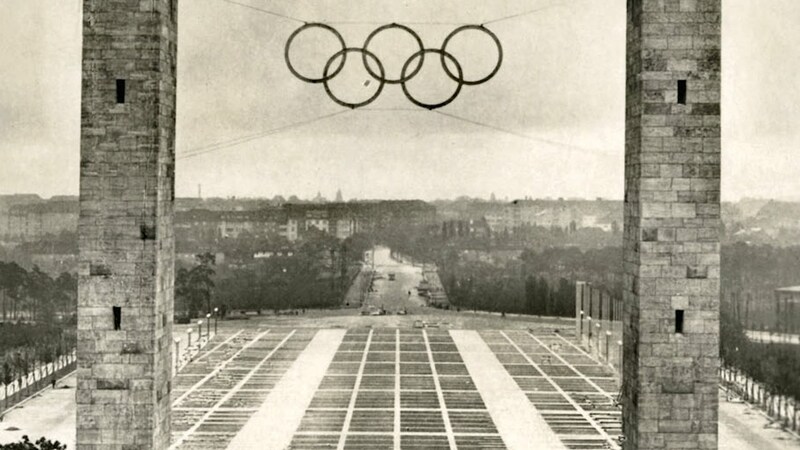 In 1939, the two had an amicable split. Eisner ended up selling his half of the studio and started work on his own ventures. Though the overwhelming majority of early comic book creators were Jewish, anti-Semitism still persisted in the industry. Eisner had experienced anti-Semitism in his youth–the kind that provoked street fights in his neighborhood. In the workplace, Eisner encountered people who tried to stop him and other Jews from getting ahead. When Eisner didn’t give Bob Powell, creator of Sheena, Queen of the Jungle, permission to leave his company, Powell accused Eisner of pulling a “Jew trick.” In his early career, Eisner also did business with several publishers and businessmen who, seeing him as an uneducated child of immigrants, attempted to steal his creations and claim them as their property. The next year, Eisner began writing and drawing The Spirit as a weekly comic book insert for a newspaper syndicate. Episodes followed the pattern of a classic noir story, with an overarching plot: Denny Colt, a young detective captured by villains, is presumed dead by the greater world, but makes his way through the seedy underbelly of Central City. He meets dames and fights gangsters, all while wearing a loose costume of an eyemask, a fedora, a business suit and a red necktie. The series was notable for breaking down genre walls between adventure, horror, folktales, humor, and romance. It was also the first comic to feature a black character, Ebony White, in a prominent role. Most importantly, The Spirit brought comics to a mass audience. No longer relegated to the realm of adolescent boys, The Spirit was in mainstream newspapers. The Spirit also elevated Eisner into the public consciousness. With a rate of production that was almost superhuman–a new 16-page comic once a week–he wrote and drew The Spirit for the next 12 years, even remaining involved in production after he was drafted into the U.S. Army for WWII. 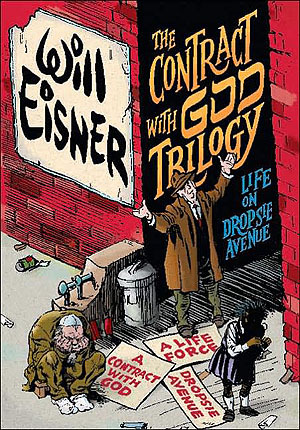 During these 12 years, Eisner also started writing more long-form stories in pairings of graphics and words, usually focusing on the lives of New York Jews. Eisner’s stories featured artists and lovers faced with the harsh realities of money, manual labor, broken dreams, and unhappy marriages. Husbands and wives either yelled at each other or cheated on each other. Kids fought, stole, and lied. Eisner stopped production of The Spirit in 1952 in order to focus more on these longer graphic novels. The most popular of these, A Contract With God, focused on Jewish immigrants torn between small paychecks and a religion and culture that seemed increasingly out of touch with the modern world in which they now lived. Less novels in the classical sense than extended vignettes with stream-of-consciousness segues, these books gradually became Eisner’s primary interest, as well as the focal point of all his later work. The Jews that populated Eisner’s stories were often portrayed negatively, in consonance with prevailing cultural stereotypes. These stereotypes were based in part on his own autobiographical details, which manifested in works like The Dreamer and Invisible People. Yet they also focused on stereotypical Hasidic rabbis and secular Jewish businessmen, who populated the New York of Eisner’s daily life. Despite these portrayals, Eisner was committed to fighting anti-Semitism on all levels, both in his own life and on a greater social level. This commitment is apparent in his final project, The Plot. Eisner’s monumental legacy continues among contemporary comic creators. Writers from Umberto Eco (The Mysterious Flame of Queen Loanna) to Neil Gaiman (Sandman) have borrowed Eisner’s characters and alluded to his storylines in their work. Frank Miller, the creator of Sin City and 300, chose to adapt The Spirit into film for his own directorial debut. The comic industry’s highest awards, their equivalent of the Oscars, are known as “The Eisners.” But the most enduring part of Eisner’s legacy will be his own work–a form which, as Eisner himself always hoped, would speak for itself.